Today’s recipe is a family favorite made throughout the year and every single barbecue during the summer – Cranberry Apple Coleslaw, our family’s go-to coleslaw recipe! 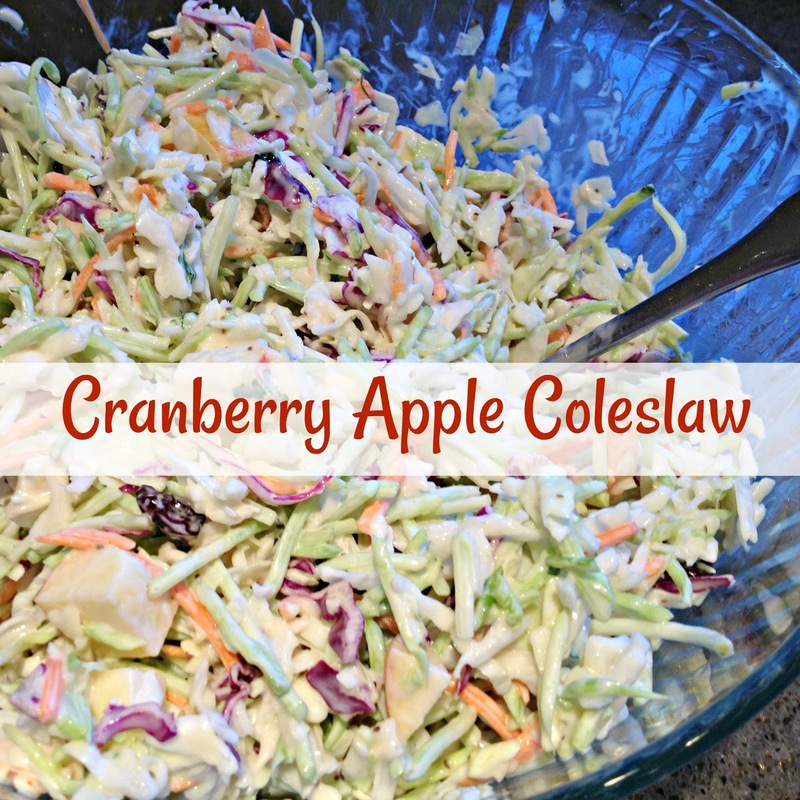 CRANBERRY APPLE COLESLAW – This recipe combines sweet, tangy and tart flavors making the BEST coleslaw! Even better, it’s a cinch to make with only four ingredients, thrown together in minutes. 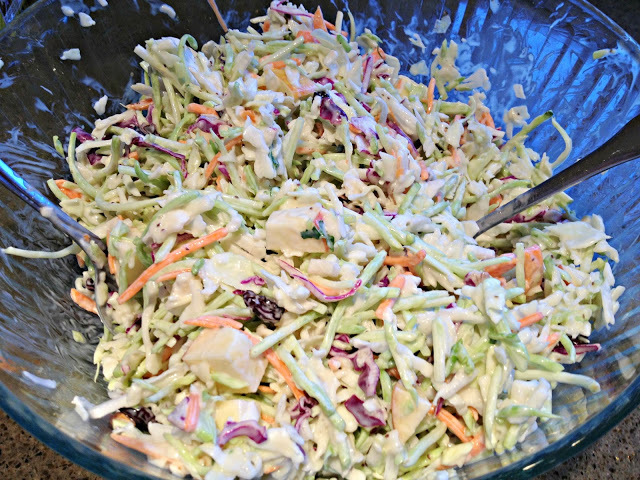 Serve this coleslaw as a side or pile it high on pulled pork and barbecue sandwiches. Simple to make, so darn good. I love easy recipes that don’t skimp on flavor. 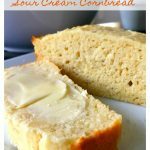 This is another great recipe from my sister’s kitchen that’s been in the family for over 20 years. This is a staple in our home, making an appearance at every single barbecue and every time I make pulled pork sandwiches. 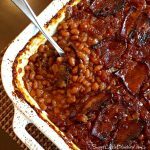 It’s perfect for potlucks, parties, cookouts, tailgates and more. 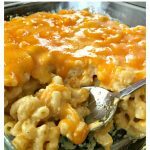 Give this simple recipe a try, I promise, you will not be disappointed – friends and family will be asking for the recipe. In a large bowl combine all ingredients and mix until well coated. Chill in fridge for approximately one hour. Enjoy! Try using half shredded cabbage and half broccoli slaw – it’s wonderful. If you don’t have cranberries on hand, substitute with dried cherries or raisins. I highly recommend using Marzetti® Original Slaw Dressing (I have no affiliation with Marzetti – just a fan), or making your own copycat version. The sweet and tangy dressing goes perfectly with the ingredients. 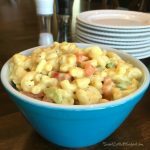 Go here, Almost Marzetti’s Slaw Dressing, for a great copycat recipe made with light mayonnaise, sugar, white vinegar and yellow mustard. Adjust amount of slaw dressing, apple and cranberries to suit taste. 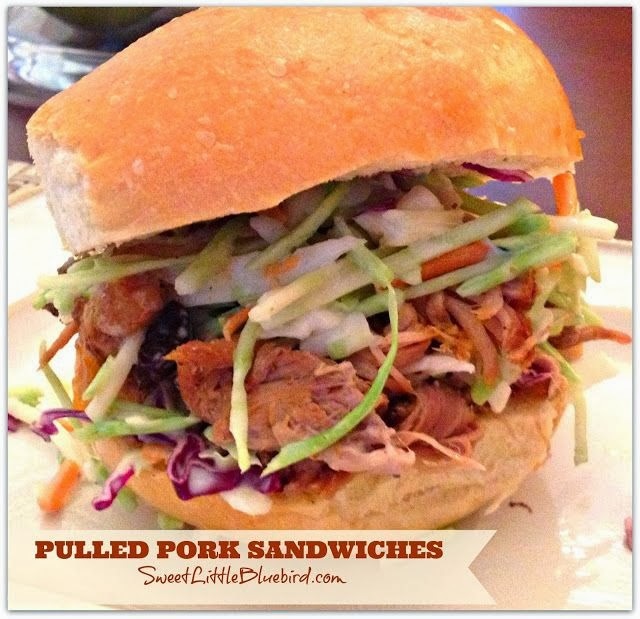 This coleslaw is perfect on top of Crock-Pot Pulled Pork Sandwiches! I made this, using the homemade slaw dressing but substituted fake sugar for my diabetic mom. It was so easy to make and was very good. Wou!d recommend! I use Kens Sweet Vidalia Onion dressing on my Cole slaw. It's amazing! I came across your recipe awhile ago thanks to pinterest. It was absolutely perfect and well timed since I made extra so I could share it with a neighbour friend who had broken her wrist and was struggling to cook. Family who I shared it with as well has asked for it to be on the birthday dinner menu so I think it's a confirmed hit. Thanks for sharing it. I used broccoli slaw mix but decided to leave out the apple for fear of it turning brown, but after reading your comment above will add it next time. I love the cranberries in this! Mine were a little dried out, so I soaked them for a few minutes in hot tap water. I added a few sunflower seeds, slivered almonds and chow mein noodles at serving..lots of textures and tastes going on but came through perfectly. Thanks for the inspiration to try this wonderful slaw, it's the BEST! How do you keep the apple from turning brown in the slaw? I just had the coleslaw tonight that I made two days ago and my apples are not brown. I'm pretty sure the ingredients in the dressing prevent the apples from turning brown. ohhhh this sounds sooo good!!! 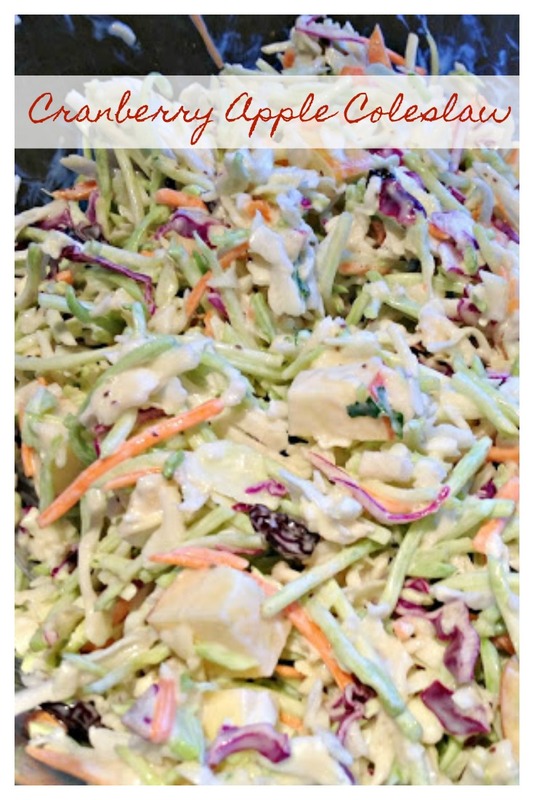 Love a new side dish idea…not that my kids'd eat coleslaw. heathens. sounds great.. except for the dressing. can you recommend a recipe with a yogurt base instead of mayonnaise? thank you! I love cranberries almost as much as I love pumpkins! This looks easy and delicious Mary! Thanks for sharing it! Thank you so much for letting me know about my rice pudding picture getting hijacked. I wrote a post about it. I tweeted it. I pinned, I emailed and I FBed. The more I look into it, the more I see the pic is being snagged for everything. It's maddening so I'll stop looking further. You are a good person. You have a great blog too! I hope you have a great weekend. I'll be sharing and pinning YOUR recipe, linking it back to your blog! I hope you have wonderful weekend! And thanks for the sweet comment. Love your blog too! Mmmmm yum perfect for BBQ season!